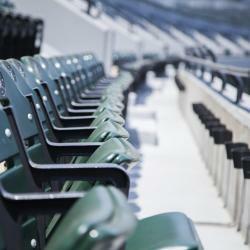 Looking for hotels near Marcel Sembat Metro Station? Set 1.2 mi from Stade de Roland Garros, Boulogne Résidence Hotel offers self-catering accommodations, a continental breakfast, a front desk, and Wi-Fi is available throughout for free. Renovated in 2019, Hotel Villa Sorel provides en suite accommodations in Boulogne-Billancourt, just outside of Paris. It has a garden and free WiFi is available. Set in Boulogne-Billancourt, 2297 feet from lines 9 and 10 metro stations, this self-catering apartment features free Wi-Fi and free private parking. Located in Boulogne, at the edge of Paris and just a few steps from Roland Garros is the ibis Styles Paris Boulogne Marcel Sembat. Located within 1.4 miles of Parc des Princes and 1.7 miles of Paris Expo – Porte de Versailles, ibis Styles Paris 16 Boulogne has rooms with air conditioning and a private bathroom in Paris. 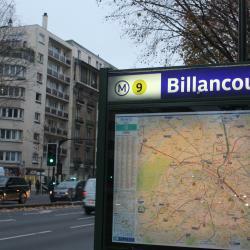 The hotel is located just outside Paris in Boulogne-Billancourt, near the La Défense business district and Roland-Garros. Located in a residential area in Boulogne-Billancourt, Hotel Paris Boulogne is just 10 minutes from Paris. It offers rooms with attached bathroom, a fitness room and a lounge bar. Everything was great, room was clean and comfortable and WiFi was great. Located in the 16th district of Paris, a 30-minute walk from the Eiffel Tower, Hôtel Félicien by Elegancia is a boutique, couture-style hotel designed by Olivier Lapidus. Great rooms, great hospitality and great facilities. One of the best hotels in th area for sure. Located in the center of Issy-les-Moulineaux, Best Western Paris Porte de Versailles is a 15-minute walk from Porte de Versailles Exhibition Center and 328 feet from Mairie d'Issy Metro Station (lines... Air conditioning was very welcome with recent temperatures. Bathroom was quite roomy. Located 2133 feet from the Bois de Boulogne and from Stade Roland Garros, Villa Escudier offers a large garden and a terrace. Friendly staff, comfort of the room, breakfast in the garden. Novotel Suites Paris Issy Les Moulineaux offers spacious, air-conditioned suites in Issy-Les-Moulineaux, just 30 minutes drive from central Paris and 1.4 mi from Parc des Princes Stadium. Really nice stuff, big and brigh room with sofa, bathroom with a shower and a bathtub. Hotel de Paris offers air-conditioned accommodations in Boulogne-Billancourt, just outside of Paris. It has a 24-hour reception and free WiFi. The reception people were very friendly and open to discuss, answer questions. Quality Hotel Acanthe - Boulogne Billancourt is located on the outskirts of Paris, opposite the Pont de Saint Cloud Metro Station and a 5-minute drive from La Seine Musicale Cultural Center. Great location, friendly staff, clean and comfortable rooms. The Queens Hotel welcomes you in the heart of the Parisian district called "Village d'Auteuil", 1.6 mi from the Eiffel Tower and 2.7 mi from Champs Elysees Avenue. Nice welcoming staff speaking great English, room very well planned, quiet neighborhood. 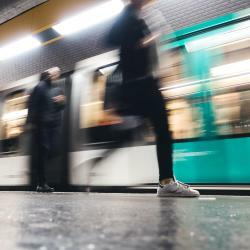 Hotels with great access to Marcel Sembat Metro Station! Located in the heart of the 16th-district of Paris, this modern hotel features private parking on site and a shaded terrace in the garden. Near Eiffel tower.. supermarket is few steps away from hotel entrance. Very clean and comfortable. In a Haussmannien-style building, this hotel offers modern rooms with free Wi-Fi, LCD TV and air conditioning. 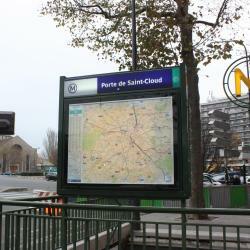 Porte de Saint-Cloud Metro Station is 100 yards away. Incredibly clean! There's a lot of choices for breakfast (little pastries taste so good!